The Aviation should not be this color. My cocktail guru and doting sweetheart was very insistent that I should include that disclaimer, and went so far as to suggest I chose another photograph of this pre-Prohibition era cocktail, because if you actually drank an Aviation that looked this one, you'd turn up your nose and frown at the inept barkeep. With that in mind, the Aviation is really a very charming drink. Just a bit of crème di violette gives this cocktail a unique hue and a lovely floral touch, but if you can taste it, you've added too much. It's called the Aviation because it's supposed to be the same color as the sky above the clouds-now isn't that a lovely image? Combine all ingredients in a cocktail shaker with ice. Shake vigorously for no more than 10 seconds. Strain and serve in a cocktail glass. Notes: Chose Plymouth or Miller's gin for this cocktail. Maraschino liquor can be tracked down at most good package stores; look for Luxardo, which will be wrapped with woven straw. 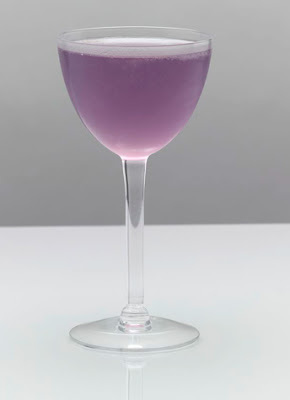 Crème di violette is a little tricker to find, and to be honest is often omitted from this classic cocktail. If you spot it at the store, grab a bottle. If you don't, pull out the gin anyway! Photo by Romulo Yanes for Gourmet Magazine. ooh this sounds delicious...i have a huge bottle of gin in my kitchen just waiting to be opened! A cocktail the color of the sky above the clouds! It's poetry in a glass. sounds lovely. Love the color!! 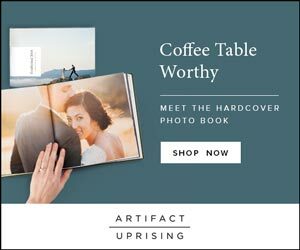 i have an idea: you have a wedding blog, and john has a cocktail blog! Ooh this sounds tasty! I wonder where I can order it out in SF, one of the speakeasys perhaps? These were a huge hit at my husband's graduation party!! And no, they definitely are not that color, you'd have to be drowning in Violette to get it to look like that. Alicia, I'd suggest Beretta, Comstock or Bar Agricole for a really divine Aviation! This sounds delicious and, though the color is wrong, I love the color. Wow that color is amazing though! I have never heard of this drink! It sounds lovely though! sounds yummy and looks so lovely! Ok this one I am not only going to try to make, I am so making it! It sounds truly delightful! Can't wait! Sounds and looks delicious ... Even if it's not the color of the sky above the clouds. Yum, nonetheless it sounds good!